From art to science, law, politics and innovation, what unexpected and disruptive opportunities does the blockchain technology open ? Can a great digital experience empower the customers and only secure a sale ? Our world is complex. How are we to tackle problems that only get harder ? Complex questions require the know-how from different fields, cultures and perspectives. The two major transitions of our time have much to say to one another. The ecological transition has a goal, but the path to get there remains unclear. “Any sufficiently advanced technology is indistinguishable from magic” wrote Science-Fiction author Arthur C. Clarke. What are the implications of such ambiguity? Is it a good thing? 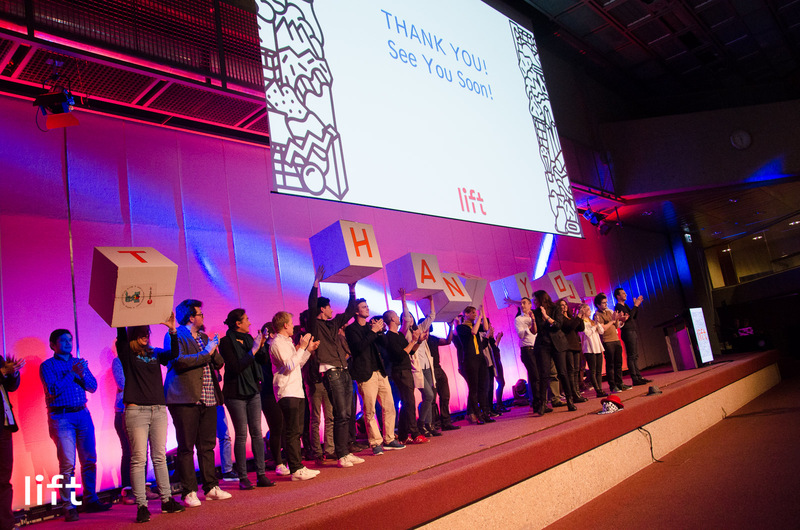 These were the topics addressed during LIFT Conference, last week in Geneva. Ambitious, right ? But it was not so much in the speeches that lied the best anti-disciplinary examples ; rather at the core of the practices of those inspiring people who naturally experience it. It may be see the world as a compound of round, square and triangular dynamics (1), or imagine we are fishes immerged in a water that we’re no more aware of (2)… In any case, it takes a touch of eccentricity to turn the buzzwords “blockchain” or “artificial intelligence” in prospective scenarios or concrete applications that, incredible but true, go beyond the circle of the nerds ! After all, whether seeking to shake one’s mind, to change the everyday life of a few or to improve the lives of all… it’s inspiration that we were seeking in the LIFT air. Inspiration, and a nice smell of Swiss fondue… !